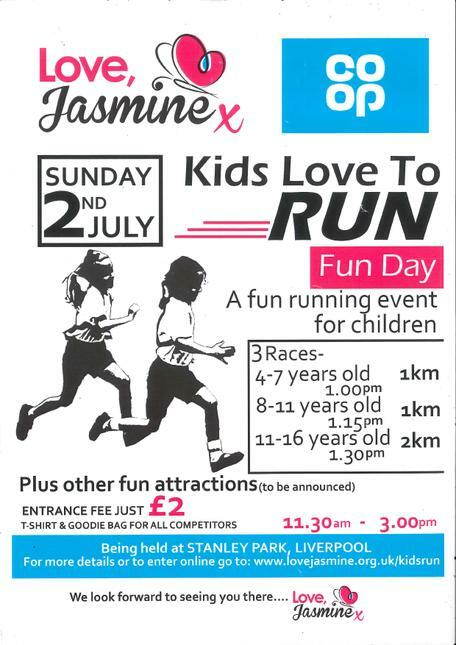 'Love Jasmine' is a charity which aims to support families who have suffered the loss of a child by providing dedicated support groups, complimentary therapies, advice and guidance. They are organising a fun run LINK to promote the charity, raise money for the great cause and to raise awareness. Hopefully many of you can take part!